Discover Card Financial Services is a publicly owned financial service providing company. The company first issued the Discover Cards and first operated Pulse and Discover networks in the US. Discovers cards are known as the 3rd largest brands of credit cards in the US. Approximately, 50 million in force cardholders now uses this company cards. The company started its journey in the year 1985 as the subsidiary of Sears. Headquarters of the organization is in Rivershood, Illinois. David Nelms is the respected CEO and President of the organization. Yearly revenue earned by the company is $6.3 billions. Net income of the company is $2.2 billions. 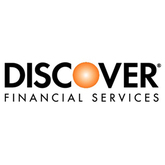 There are currently 1 consumer reviews about Discover Card Financial Services available. Share your review. Please take a note that you are about to post a public review about Discover Card Financial Services corporate office on CorporateOffice.com. This review will be public, so please do not post any of your personal information on this website. If you would like to contact the corporate offices of Discover Card Financial Services, please use their contact information such as their phone number, website, and address listed above to contact them. However, sometimes staff from Discover Card Financial Services headquarters do read the reviews on this website.